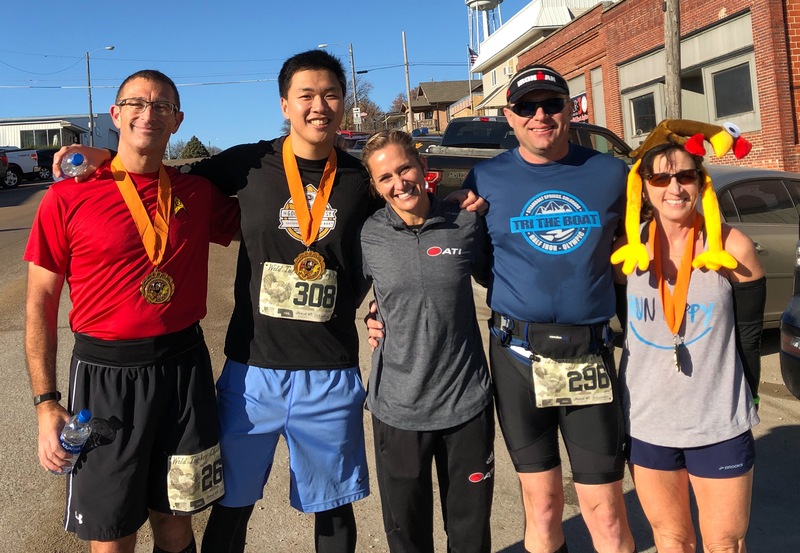 For the third-straight Thanksgiving, I traveled to Pickrell, Nebraska, 35 miles south of the state capital, to participate in the Wild Turkey Chase 13.1, race number eleven of 2018. 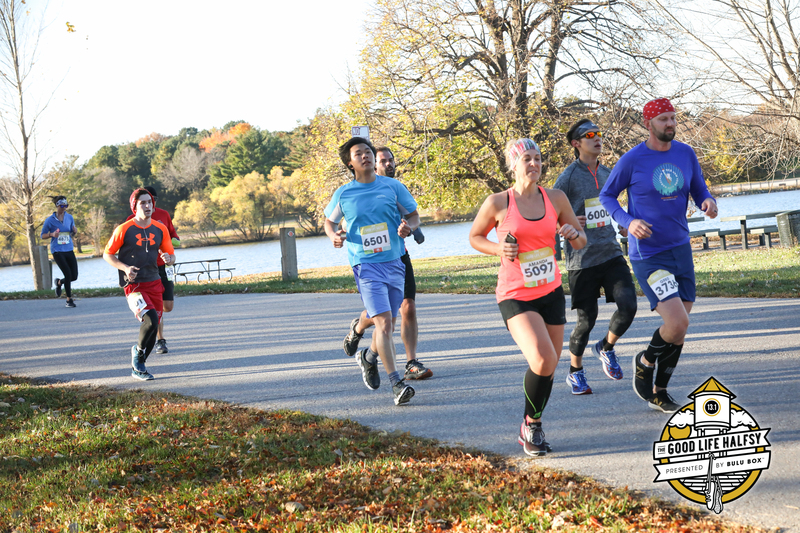 My last five running events from July to October, in terms of time, had been five of my top performances in my running career, ironically following two of my worst, and I have been consistently running at a much speedier pace on training runs, which had me eager for more ambitious objectives. 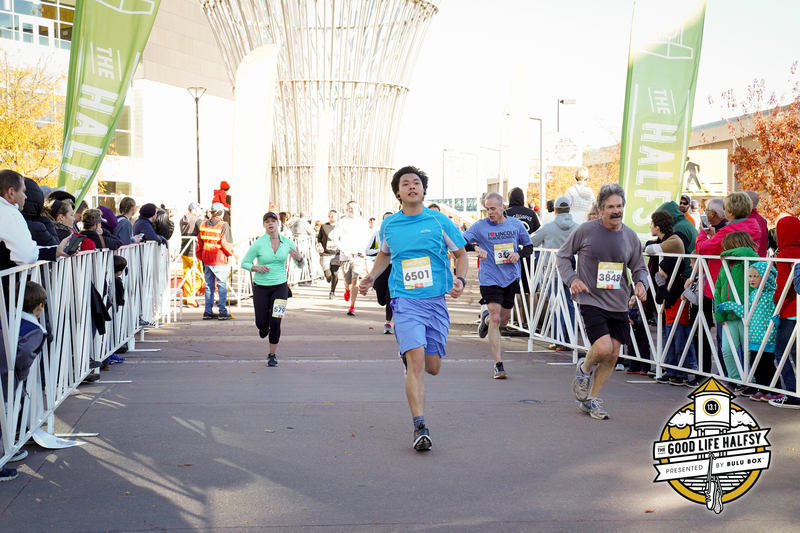 I would also surpass 1,000 kilometers in race mileage with the completion of this turkey trot, which excited me even more. 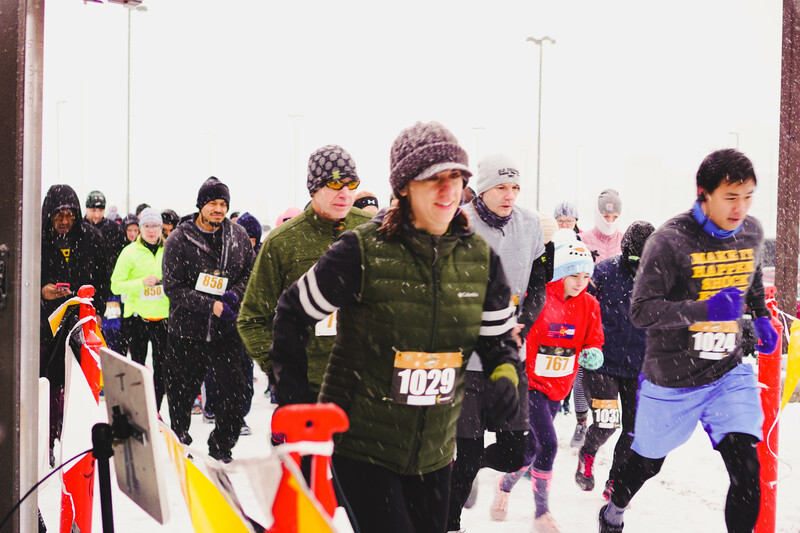 I began the race morning grumpy having only slept twenty minutes, but I also reminded myself sleep deprivation has never played a negative role in my running. 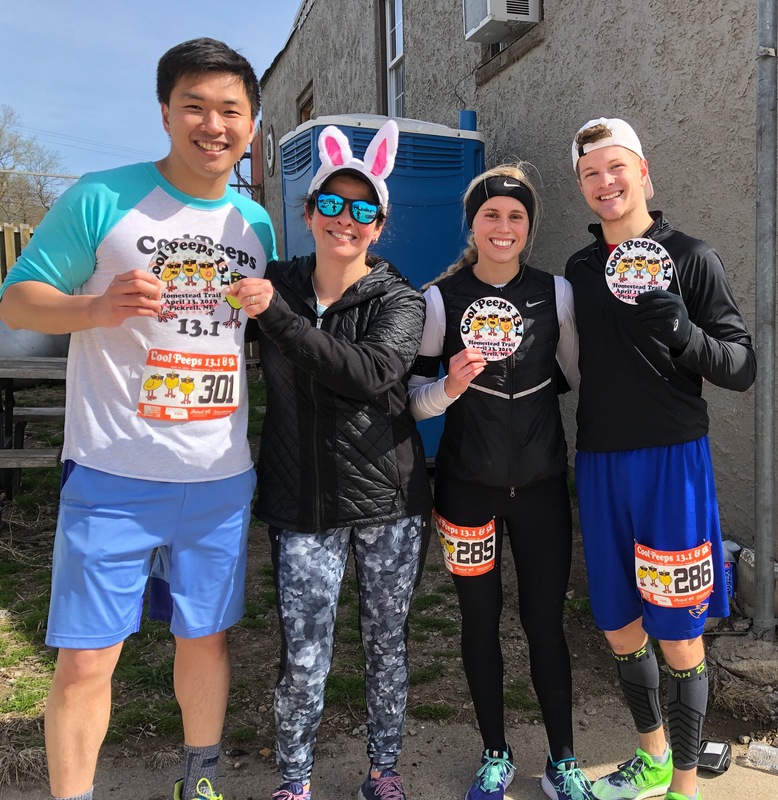 Understanding through prior experiences both this course takes place 99.9% on a trail and seems slightly longer than 13.1 miles, I told my mother over the phone the night before I anticipated to finish between 1:53:00 and 1:55:00. 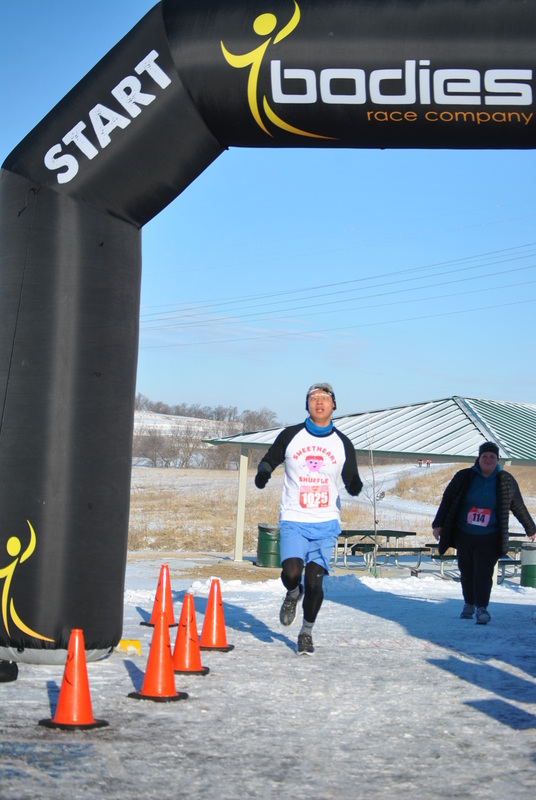 The chilly weather of low 30s without too much headwind felt perfect for me to over-perform, which proved to be true. 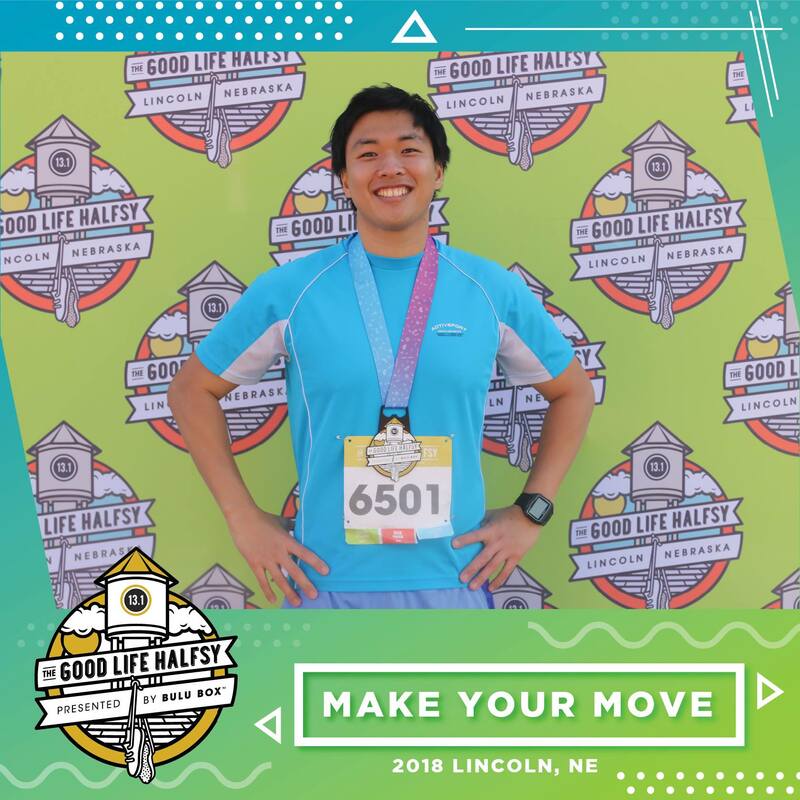 I completed the first half of the course at an 8:13/mile pace, and, still full of energy, I had in mind to really begin pushing with a couple of miles to go to attempt to break my personal record of 1:47:35.7 from less than a month ago. Although I never felt my body fatigue or slow down, my Garmin showed I was indeed gradually losing pace. 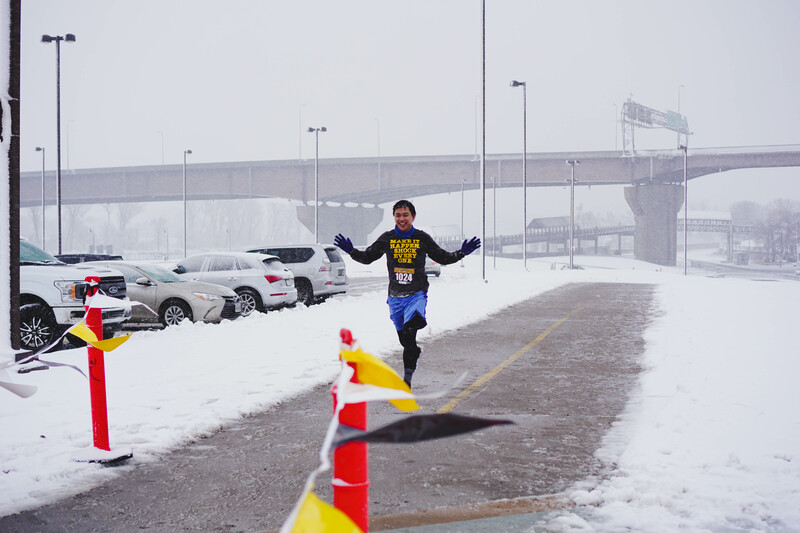 I figured at this point setting a new personal best would be improbable but still wanted to secure my second-ever and back-to-back sub-1:50:00 half marathon. 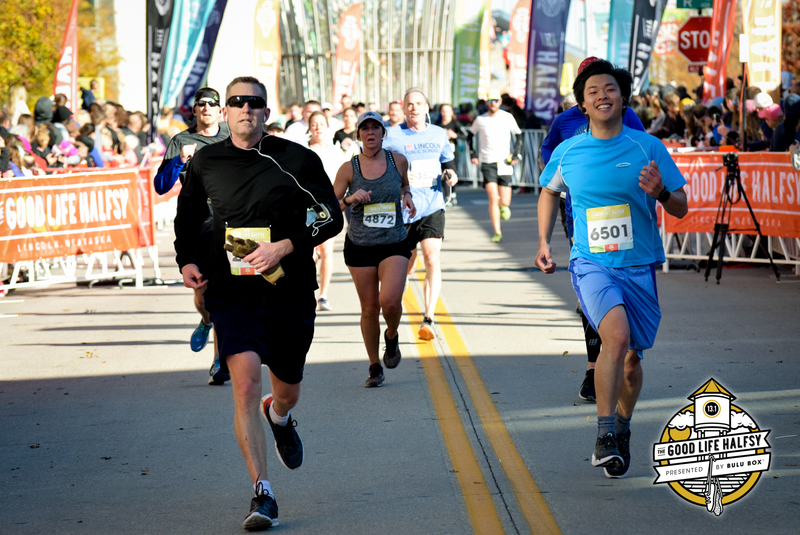 I knew I would be close, and with just under two miles left, I increased my stride and hoped to miraculously shave several seconds off my mile pace; I managed to reduce one second. 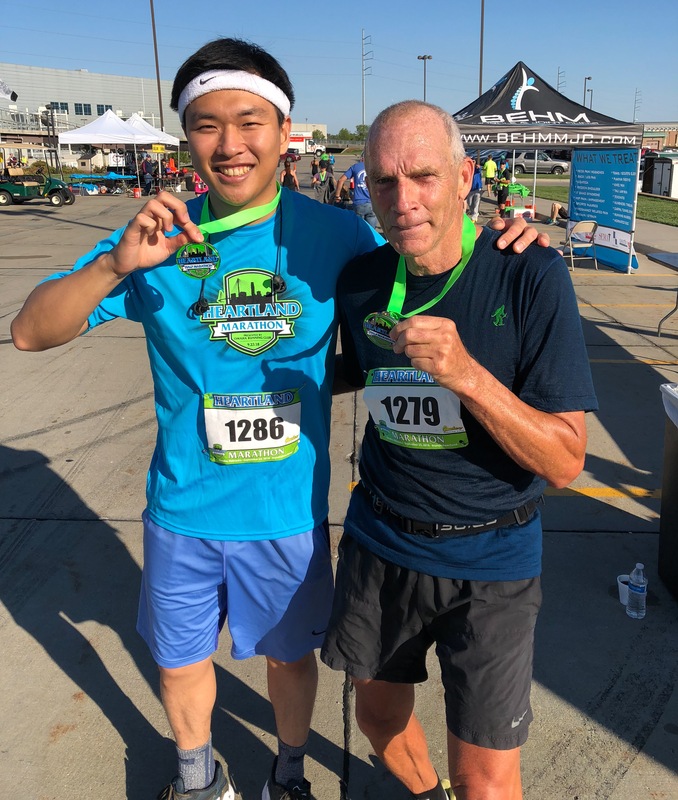 I completed the race in 1:49:30.1, content I achieved one of my goals of breaking 1:50:00 and relieved seeing how nearly I came to losing even that. I felt obligated to have turkey on Thanksgiving, so, like last year, I proceeded to Golden Corral that offered Thanksgiving buffet. Never did I imagine this time last year that I would be repeating this (now a) tradition a year later, which taught me not to rely on my own humanly plans but rather let God take control of my life, as He and I may have different plans (Proverbs 19:21) and His time and my time do not always coincide (2 Peter 3:8). This suffocating lonesome journey of living in Kearney, Nebraska, for well over three years now constantly plays with my head, especially over holidays when families gather. I, however, would be surprised if I repeat this Thanksgiving tradition yet again in 2019. Of course, His will, not mine! Thank You, Jesus! 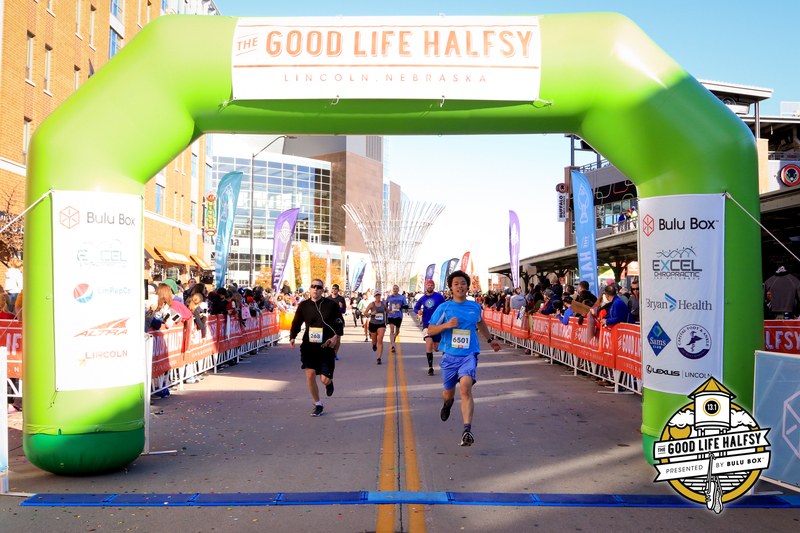 After contemplating running another ultra in Kansas on October 27, 2018, I decided to instead enter the Good Life Halfsy in Lincoln, Nebraska, happening the following day, mainly because I hesitated committing to a minimum of twelve-hour drive out and back for the former. 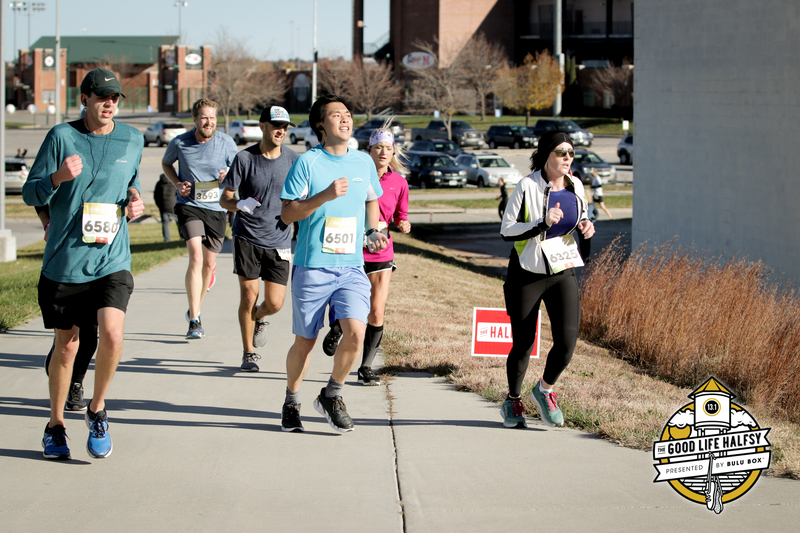 This event that welcomes over 6,500 participants bears the nickname “Nebraska’s funnest half marathon,” and I longed to test myself and see how fast I could run on this net-downhill course I heard so much about for years from local races. 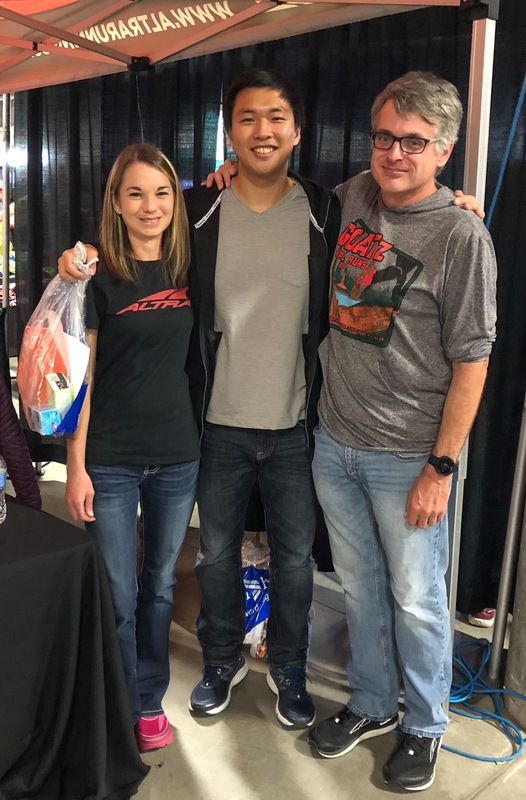 Seeing and chatting with champion ultrarunner Kaci Lickteig and her pacer again, in addition to taking part in various entertaining activities, at the Expo the day before the race unsurprisingly pumped me up and excited me for the next morning. 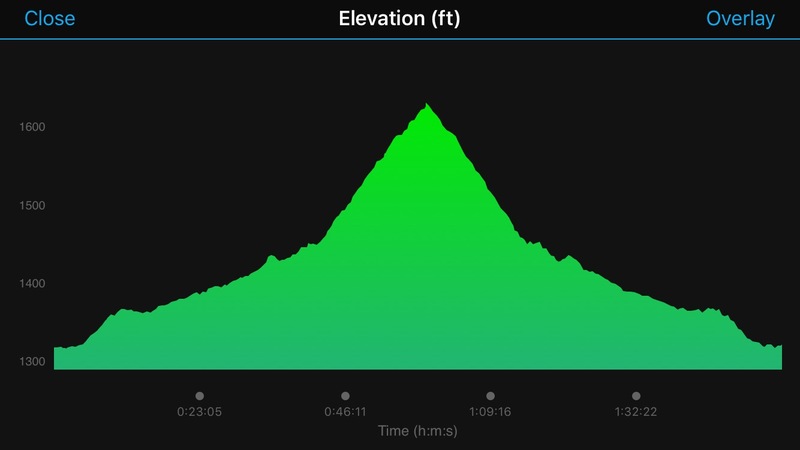 My impression of a “downhill course” made me visualize most of the course leading downhill, which proved inaccurate when I ran upward as frequently as I ran downward. 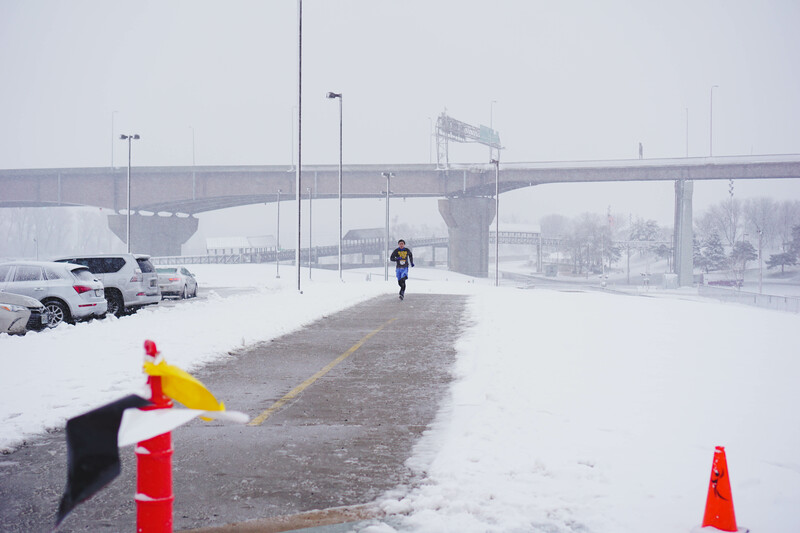 With this initial thought, I started ambitiously fast, beginning at a low 7:00/mile pace and maintaining an 8:04/mile pace for the first few miles. I had a rough idea of the pace I needed to keep in order to destroy my personal record (PR) from slightly over a month ago, which about eight miles in I figured to be inevitable unless something drastic, like an injury, occurred. 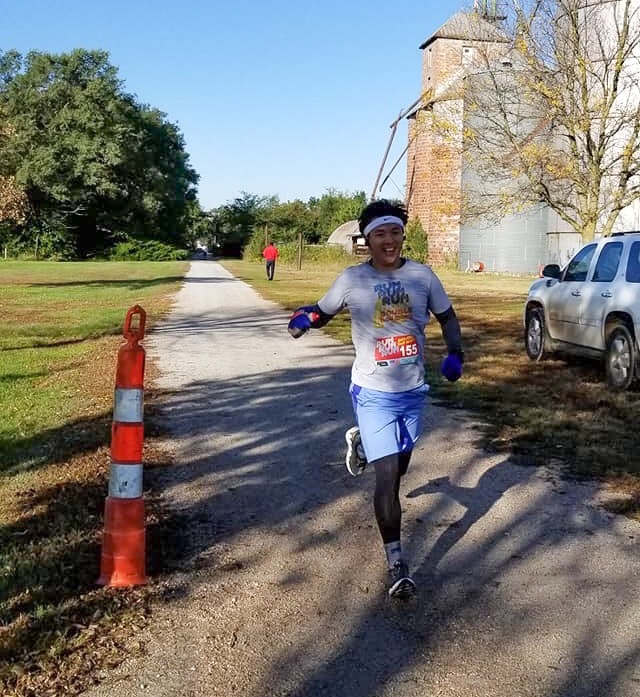 I noticed my passing many runners going up and down but occasionally being passed going flat, and I was reminded of why I missed the Georgia hills so dearly when I first moved to Kearney, Nebraska, that seemed 99% flat, in September 2015. Nearing the finish line following a prolonged uphill on a bridge, I gathered all the energy I had left for a final sprint to the end, flying past numerous runners. 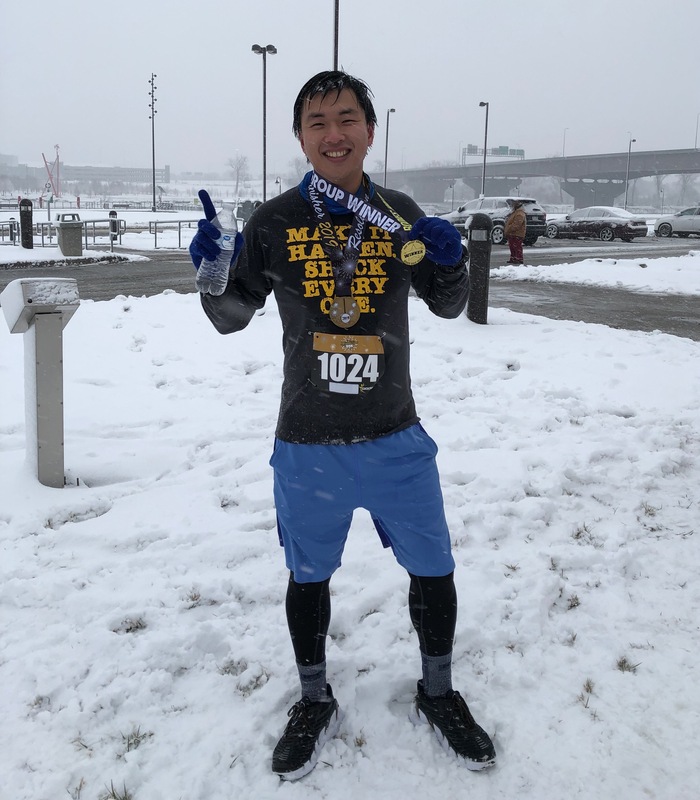 I aimed to complete the run close to 1:50:00 while quietly fantasizing even more quickly on this fast course but knew I had set quite a greedy goal, making the official time of 1:47:35.7, beating my previous PR by well over five minutes, drop my jaw even lower. I remember texting my best friend following achieving my first-ever official sub-2:00:00 13.1 miles of 1:56:55 in the summer of 2017 that I do not know if I could again replicate that performance, yet my last three half marathons, all on much tougher courses, casually smashed that seemingly amazing accomplishment at the time. I can feel my body rapidly becoming stronger and speedier, but how much more room do I have to improve? I guess I will find out soon enough. Thank You, Jesus! Beginning race day being detoured four or five times driving in the dark due to major road construction and uncertain if I could make it to the event location on time, I felt overly anxious and nervous on my way to a half marathon at the Fall Double Half Mary +5 in Valparaiso, roughly 27 miles northwest of Lincoln, Nebraska, on October 13, 2018. This event does not utilize chip timing, which implied if I arrived late, however late I arrived would be added to my finish time. Canceling the race even briefly crossed my mind, and I probably would have if I could not start with the rest of the participants. When I came to the event place with short time to spare, I felt so grateful I no longer obsessed with the pressure of performing to the best of my abilities. 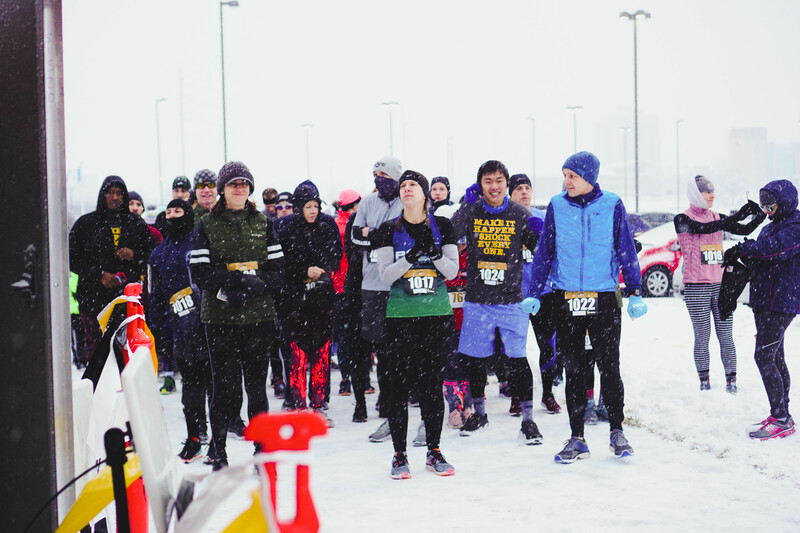 I lined up at the very front for the start and kept the lead for the first mile, which felt awkward because I had never led this far in any of my previous 36 races; when the few runners who finished before I passed me, I strangely felt relieved and comfortable, almost as if thinking my level should not be winning any race. 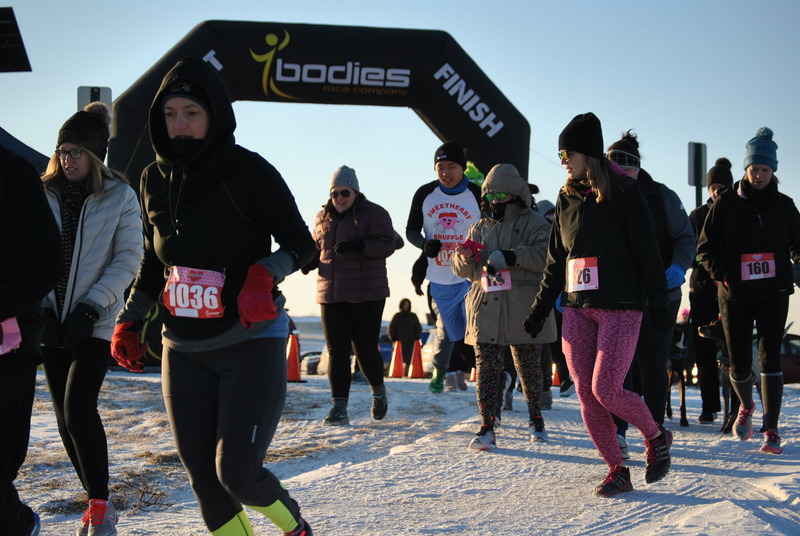 The course started off relatively flat for the first two to three miles and then carried straight uphill to the halfway turnaround. 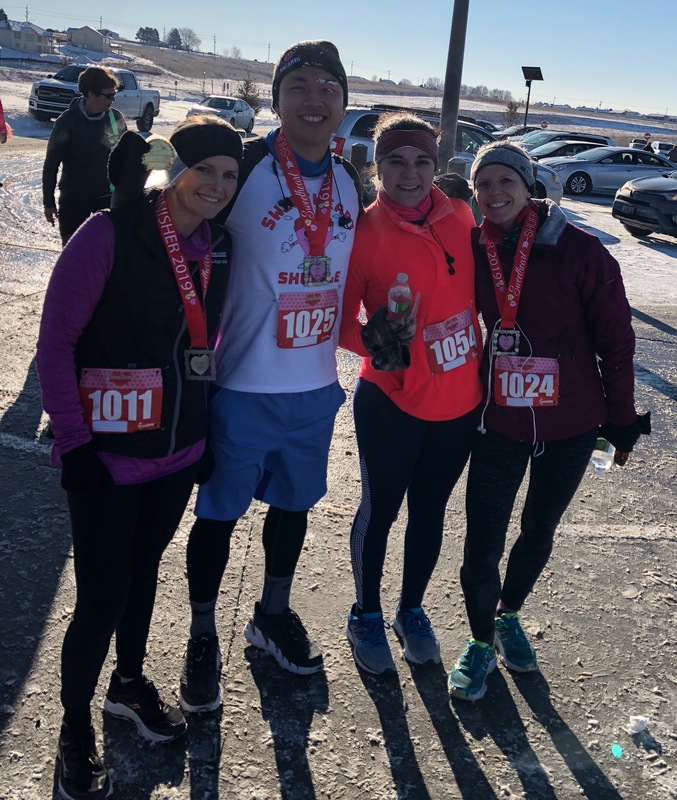 I could observe how much my endurance has improved, as I did not feel any fatigue and maintained a consistent pace to the top; yes, I do acknowledge the 36-degree temperature helped. On my way up, I became excited thinking about all the downhill I would be running on the way back. 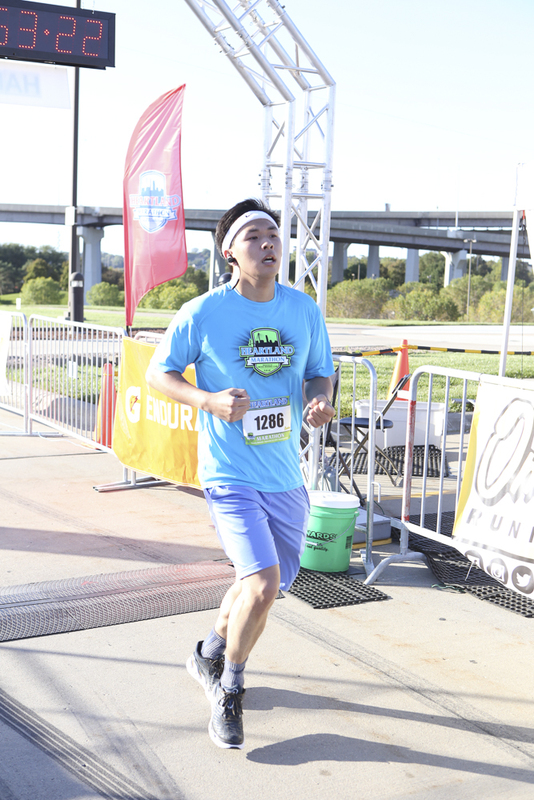 Unsurprisingly, I secured a significant negative split the second half, crossing the finish line in 1:55:23, my second-fastest half marathon ever and which coincidentally hilariously matches my bib number of 155. 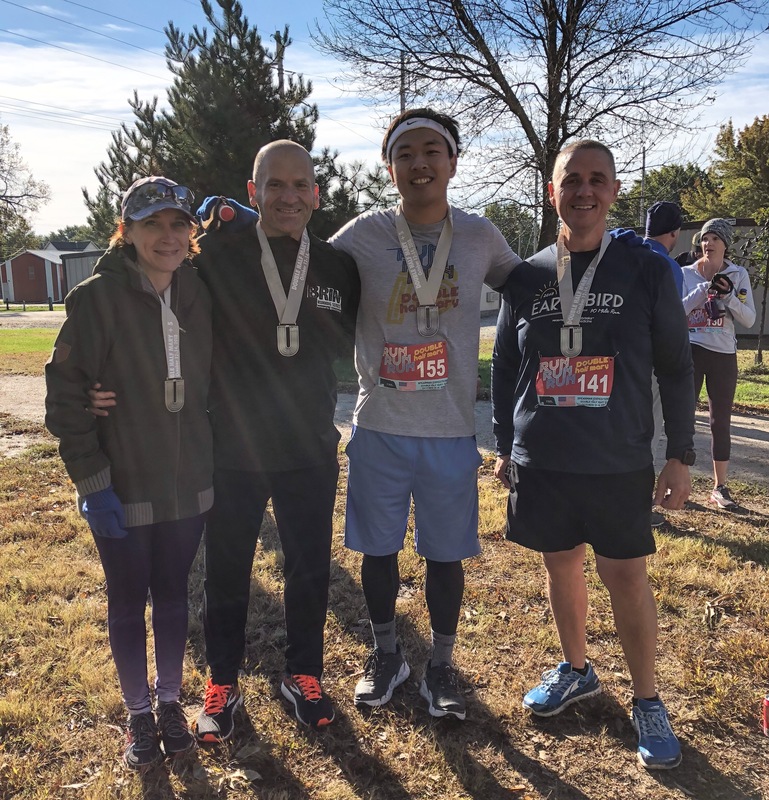 Considering this event took place 100% on a trail (and mud) and 0% on the road, maybe this performance could be as impressive as my 1:53:05 personal record from the road-trail race several weeks ago. 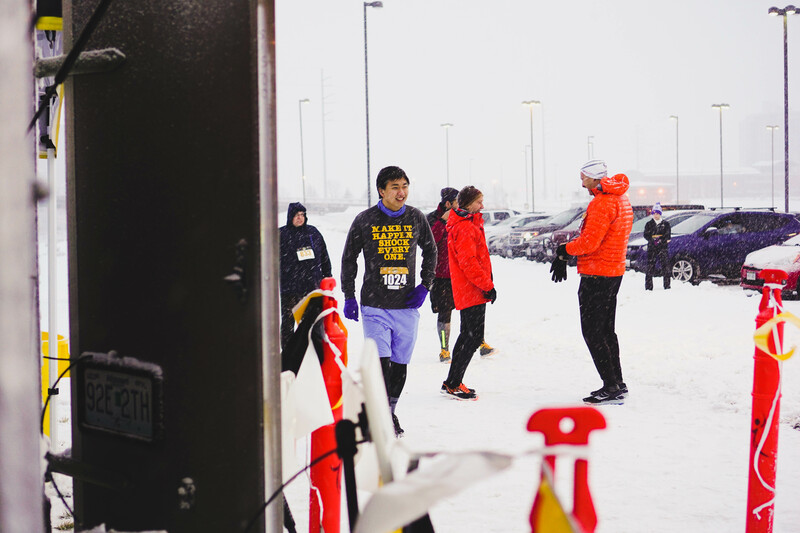 I realize performing strong and running fast should not always be my priority in races and need to remind myself of what matters, but I also cannot help but feel joyful seeing how far I have come since I picked up running just over six-and-a-half years ago. Until recently, I had only hoped for a sub-two-hour 13.1 miles; now, not achieving this on a nontechnical course disappoints me. As always, thank You, Jesus! Legends Bart Yasso and Jane Serues! 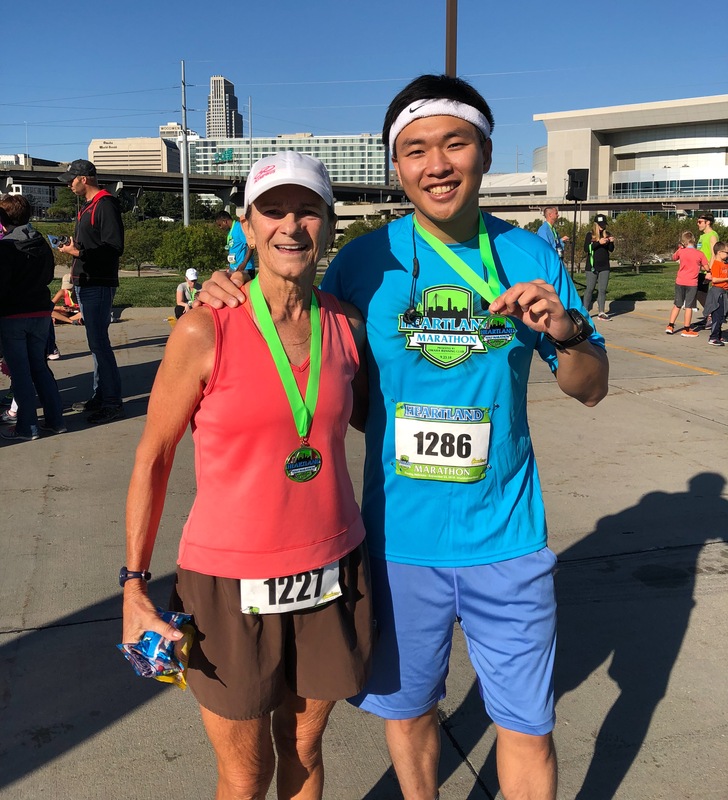 Days prior to my three-week business trip to Korea, I received a voice message stating my name was drawn for a free massage from Essentials Natural Family Health in Papillion, Nebraska, from a raffle at my most recent running event, Beat the Heat 10K. Upon my return to the United States, I sought another race around this area because I refused to drive three hours out and three hours back solely for a massage. 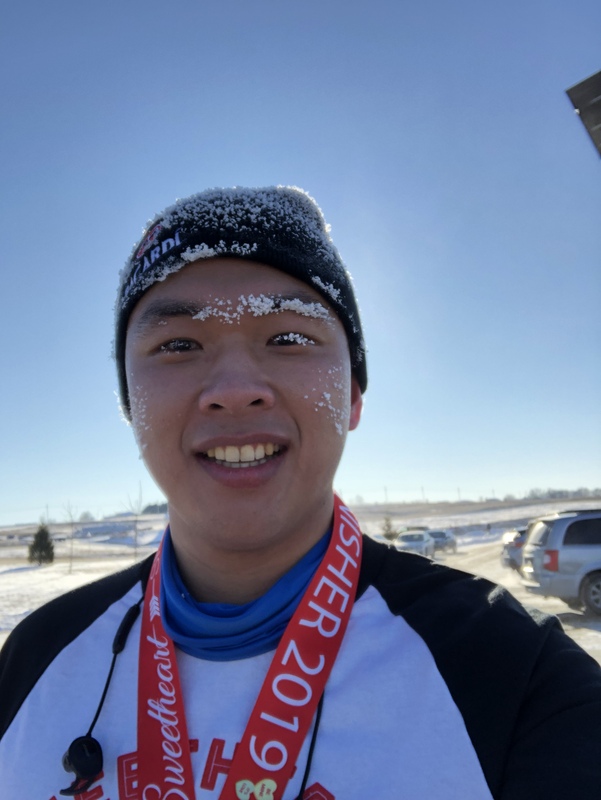 I signed up for 13.1 miles in the Heartland Marathon, beginning and ending in Omaha, Nebraska, but taking place mostly in Iowa, on September 23, 2018, only a few days before the event. I felt slightly concerned about my only having run on the treadmill several times while away and not having fully overcome jet lag. 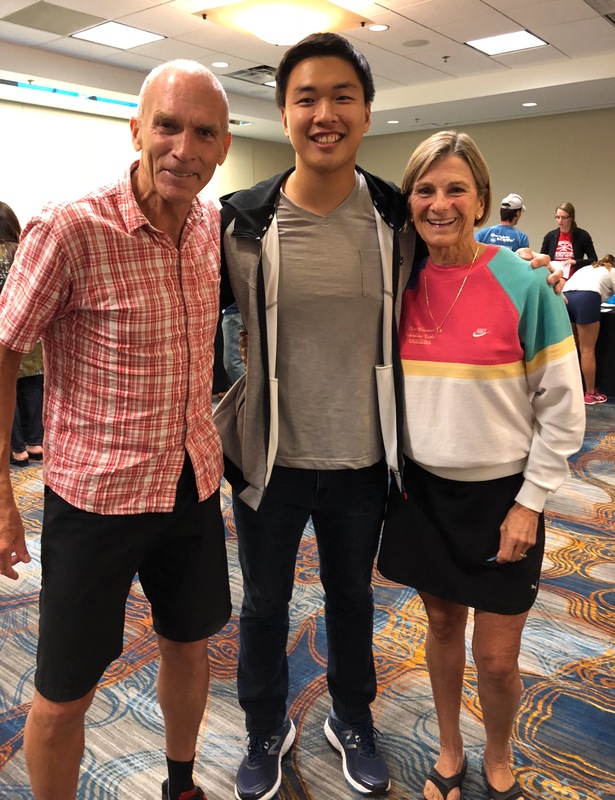 I arrived in Omaha a day early for the Expo, where I met many inspirational runners, including legends Bart Yasso and Jane Serues, guest speakers, and an elderly man who had completed 405 marathons, seven times in all 50 states. Come race day, I had no expectations but simply hoped to score another sub-two-hour half marathon in this beautiful weather for running. I also did not anticipate to run mainly uphill the first three to four miles, at which point I dropped any desire for a strong performance. Nevertheless, as the course, comprising both roads and trails, flattened out on mile five, my body swiftly recovered and I increased the pace and stayed near the 1:55 pacers, which told me I could still potentially break my personal record (PR) of 1:56:55 from over a year ago on a far-less technical and slightly-shorter course. 8 miles in, still full of energy, I passed the pacers and did not see them again until post-race; a new PR seemed almost inevitable. With a mile to go, I climbed my way up on the Bob Kerrey Pedestrian Bridge that divides Nebraska and Iowa from the Iowa side, which, maybe due to chugging water right before, made me feel nauseous; approaching the finish line, I came close to throwing up four or five times, which prompted me to pray to God dearly not to let me vomit in front of all these individuals cheering. 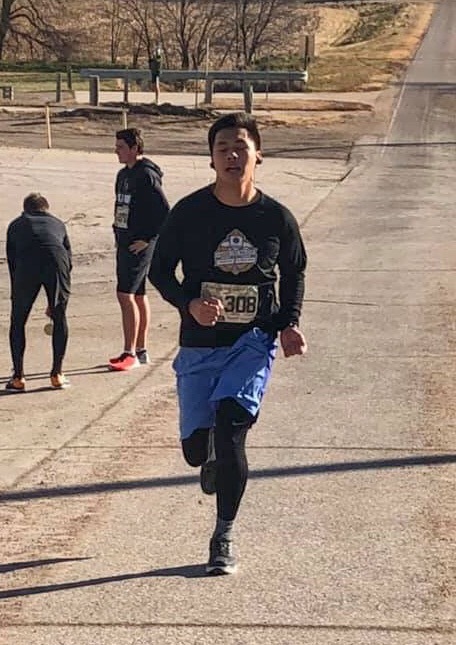 Especially considering the consistent hills and my just having come back from a lengthy overseas trip, I was pleasantly surprised with the new mammoth PR of 1:53:05, beating the previous by three minutes and fifty seconds and enough for 54th place out of 248 runners. 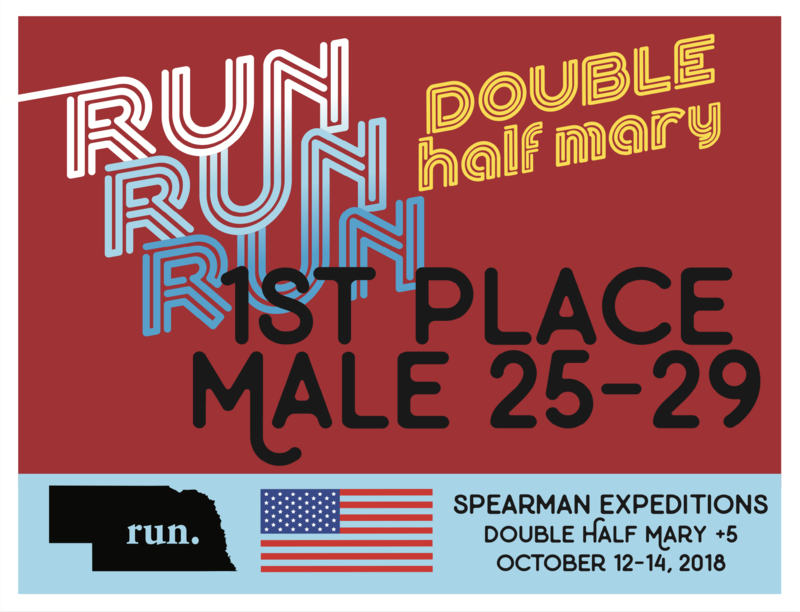 I wonder how I would have performed on a less difficult course, whether I would have run faster or I deal with hills efficiently. Thank You, Jesus!